Joshua Archer recently completed the Asian Studies Honours program at the University of Sydney. Having a keen interest in Asian history and in Japanese martial arts, Joshua has chosen to specialise in samurai history throughout his academic studies thus far. Joshua is enrolled to study graduate law at the University of Wollongong in 2009. A. K. Byron graduated from the University of Sydney with First Class Honours for her thesis on cultural responses to Japan’s student protest culture of the 1960s. Byron’s recent research looks at the intersections of language, spirituality and the environment in the Japanese literary context. Her ongoing projects include a study on the use of constructed languages such as Esperanto by twentieth-century Japanese writers. Byron now works as a translator and researcher with interests in fields including poetry, folklore and children’s literature. Adam Broinowski has been a member of Gekidan Kaitaisha, researcher at the University of Tokyo, and is presently a PhD candidate at the University of Melbourne/VCA. He has worked in theatre for more than ten years, beginning with Noh, followed by circus, physical theatre, naturalism and experimental theatre. Yuan Cai has a Masters degree in Oriental Studies from St Anthony’s College, Oxford University. He is currently doing a PhD on the history of Pan-Asianist movement at the University of Adelaide. His research interests encompass the history of Pan-Asianism and the Japanese peace movement. Rikki Campbell holds a Master of Applied Japanese Linguistics from Monash University, Melbourne. Currently, she is a Doctoral candidate and is continuing to explore the relationship between study abroad and Japanese learners’ social networks at Monash, where she also teaches part-time in the Japanese program. Geraldine Carney is a PhD candidate at the School of Languages, Literatures, Cultures and Linguistics at Monash University. She holds a Bachelor of Arts (Hons. )/Law from the University of Melbourne and a Masters of Japanese Interpreting and Translation from Monash University. Her research interests include family law, international relations and human rights in relation to the issue of parental abduction. She lives in Melbourne where she works as a lawyer. Geraldine was selected for the New Voices Scholar program in 2016. Gairaigo in Japanese Foreign Language Learning: A Tool for Native English Speakers? 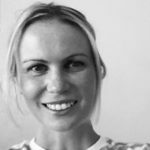 Niamh Champ was born and raised in Queensland and has had a keen interest in second language learning and culture from a young age. At the University of Queensland, she pursued her interest in second language learning and teaching, completing a Bachelor of Arts majoring in Japanese and French (Honours in Japanese), and a graduate Diploma in Education (secondary). 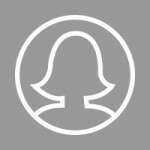 She is a registered teacher with the Queensland College of Teachers and a qualified ESL teacher who would like to further her research in the domain of SLA. Sally Chan has demonstrated a great interest in Japan and Japanese since she was young. This interest manifested as she studied Japanese throughout her secondary studies, and carried over to her tertiary studies. She is also interested in the study of psychology in relation to language, and how cognitive processes affect language construction. Integrating her language abilities of Japanese, Chinese and English, and her research knowledge acquired from her undergraduate studies in Psychology, she completed an Honours thesis with outstanding results. Laura Clark is a PhD candidate at the University of Queensland. Laura’s broader research interests focus on the intersection between contemporary Japanese society and its representation in popular cultural productions. Her thesis project is focused on investigating the presence of changing gender ideals and masculinities within the works of Haruki Murakami. Laura received a Bachelor or Arts in Writing and Creative Communication at the University of South Australia, and was selected as a Japan Foundation Fellow in 2017. Rebecca Corbett is a PhD candidate in the Department of Japanese and Korean Studies at the University of Sydney. She is researching the history of women in chanoyu (tea) for her doctorate. From September 2005 to July 2006, she was based at the International Research Center for Japanese Studies in Kyoto, supported by a Japan Foundation Fellowship. Claudia Craig graduated from University of London, Birkbeck College in 2008 with a Master of Arts, Japanese Cultural Studies, earning a distinction. She completed her undergraduate degree in Japanese language at the University of Western Australia where she also studied law. In 1991, Claudia was awarded a Japanese Government Monbusho Scholarship to undertake legal research at Ritsumeikan University in Kyoto. Her interests are now centred in Japanese society, design and literature. 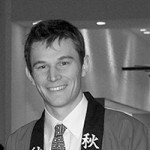 Daniel Curtis was awarded First Class Honours and the University Medal in Japanese Studies from the University of New South Wales in 2009, after completing a degree in International Studies. Kathleen Cusack graduated from the University of Wollongong in 2008 with a Bachelor of Arts degree in Japanese and was awarded First Class Honours. In 2007, Kathleen studied as an exchange student at Doshisha University in Kyoto. 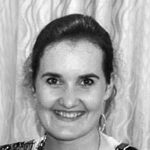 Dr Christine de Matos is a Research Fellow in the Centre for Asia-Pacific Social Transformation Studies (CAPSTRANS) at the University of Wollongong. She is currently researching a social history of Australians and Japanese during the Allied Occupation of Japan. Dr De Matos was a 2004 Japan Foundation Fellow. Jared Denman was awarded First Class Honours in Japanese at The University of Queensland in 2008, after completing an Arts (Japanese)/Education dual degree. He is currently a PhD candidate with the School of Languages and Comparative Cultural Studies and is examining the transnational experience of ageing among first-generation migrants from the local Japanese diaspora. Philip N. Eate graduated in 2007 with First Class Honours in Asian Studies at the University of Adelaide. He is currently a PhD candidate at Adelaide researching new forms of pilgrimage and spiritual quest in Japan. Adam Eldridge completed an Arts/Law degree at Monash University in 2005. Following this, he lived and worked in Japan for three years. Adam returned to Australia and Monash University in 2009 where he obtained First Class Honours. This paper is an abridged version of his 18,000 word thesis completed as a part of those studies. Adam is currently working for the Australian government as a legal officer and also manages a Japanese language school in Canberra. He is currently undertaking a Masters of Law at the Australian National University but is seeking to pursue further studies and research into Japan and international relations. Gian Marco Farese is a PhD student in Linguistics at ANU. In his research, he adopts the Natural Semantic Metalanguage approach to semantic analysis to investigate the cultural semantics of salutations, forms of address and leave-taking phrases in English and in Italian. 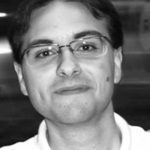 Gian Marco’s research interests include cultural semantics, cultural linguistics, cross-cultural and intercultural communication and also Japanese language, culture and linguistics. Before coming to ANU, he received a BA in Cultural and Linguistic Mediation from the University of Naples L’Orientale (2011) and a Master in English Linguistics from University College London (2013). Monica Flint graduated from The University of Sydney with a Bachelor of Arts (Languages) (Honours) in 2017. She also studied at the University of Tokyo for two semesters (2015-16) under the Abroad in Komaba exchange program. She wrote her Honours thesis on Okinawa and the US military presence after becoming interested in the island prefecture whilst travelling there during her exchange. Daniel Flis recently graduated with a Bachelor of Asian Studies and a Bachelor of Arts Honours (First Class) from Murdoch University in Perth, Australia. He also completed a one‑year program studying Japanese language, culture and history at Ryukoku University in Kyoto, Japan. Currently, Daniel is completing further post-graduate studies in Perth, with plans to return to Japan in the near future. This paper is an adaptation of his Honours thesis, reflecting his interests in Japanese society, gender politics and literary analysis. Lucy Fraser graduated fromthe University of Queensland in 2007 with an Arts Degree in Literary and Japanese Studies. Lucy was awarded First Class Honours in Japanese Literature, as well as a University Medal. This year she will continue her research at Ochanomizu University. Lucy has also translated short fiction by Akutagawa Prize nominee Hoshino Tomoyuki. Elise Foxworth has a Masters Degree in Japanese Studies from Monash University. 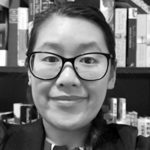 She is currently working on a doctoral dissertation: Ethnicity and Identity in the Japanese Literature of Three Korean Writers in Japan: Kim Sok Pom, Lee Hoe Sung and Kim Ha Gyong, at the University of Melbourne. She lectures in Japanese Studies. Amelia Groom was awarded First Class Honours in Writing and Cultural Studies at the University of Technology, Sydney in 2007. 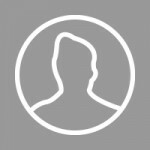 She is currently a Sydney-based freelance writer, curator and researcher who edits www.biginjapan.com.au. Matthew Grubits graduated from the University of Tasmania in 2008 with Honours in History. He is currently enrolled in a Master of Arts at the University of Tasmania, and is continuing to explore the role of aestheticism in society. 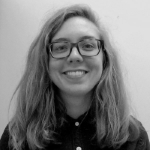 Jenny Hall is a PhD candidate at the School of Political and Social Inquiry, Monash University. She holds a BA Honours in Archaeology and Anthropology from Cambridge University. 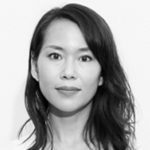 Jenny’s research interests include Japanese textiles and design, representations of the self, cultural identity, embodied practices, and visual and sensory ethnography. Her current research comprises a sensory analysis of the design, production and consumption of contemporary Japanese apparel that has been created using heritage industry techniques. Her paper, “The Spirit in the Machine: Mutual Affinities between Humans and Machines in Japanese Textiles” appears in MIT’s Thresholds 42: Human (Spring 2014). Catherine Hallett is a doctoral candidate at the Australian National University. Her current research is on the role and significance of music in rakugo. She spent three months in Osaka in 2011 as an azukari deshi (temporary shamisen apprentice) of master storyteller Hayashiya Somemaru IV. She holds a Bachelor of Music and Bachelor of Arts (Honours, First Class; University Medal) from the University of New South Wales. Iori Hamada came to Australia in 2006 as a recipient of the 2006 Endeavour Japan Awards scholarship. She holds a Master of Communication at RMIT. She is currently completing her doctoral thesis on Japanese culinary products and practices in Australia from cross-cultural perspectives. Machiko Ishikawa is undertaking doctoral studies at the University of Tasmania supported by an Australian Postgraduate Award. A literary study major, Machiko is currently investigating the writing of Burakumin novelist, Nakagami Kenji, using a framework of post-colonial theory and subaltern studies. Machiko recently contributed a reflective essay (in print) to the journal, Go-oh, published by the Kumano University collective, a group of scholars committed to researching Nakagami’s work. Machiko has worked as a research assistant in the UTAS School of Asian Languages and Studies. Lachlan Jackson is both a lecturer in the Faculty of Policy Science at Ritsumeikan University, Kyoto, and a PhD candidate at the University of Queensland. 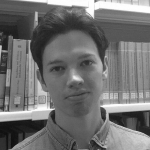 Lachlan is interested in issues relating to bilingualism, the transmission of intergenerational cultural identity, the discourse of ‘Japaneseness’, and cultural and ethnic diversity in Japan. Rose-Ellen Kesselly graduated from the University of Queensland in 2006 after completing a Bachelor of Arts Honours degree in Japanese and Chinese, and a minor in linguistics. Rie Kido is a PhD candidate at The University of Adelaide. 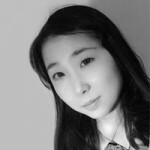 She gained her MA at The University of Tokyo in 2003 and began teaching at Kwansei Gakuin University in 2009, specializing in educational sociology and the methodology of qualitative research. Rie is interested in interpreting the lived experiences of marginalized youth based on their narratives, and her work focuses on futōkō (school non-attendance), hikikomori and youth unemployment in Japan. Her publications include the monograph Futōkō wa Owaranai [不登校は終わらない], published in 2004. Marie Kim is a recent PhD graduate whose doctoral research addressed tales of teenage rebellion as a significant sub-genre of adolescent fiction in Japan. Marie is currently extending her research of Japanese adolescent literature to include more recent literary phenomena, such as mobile phone novels (kētai shōsetsu) and light novels (raito noberu). Marie also holds a Master of Arts and a Master of Literature in Japanese. Tets Kimura has been reporting on the whaling conflict as a journalist since 2005 and has published articles both in Australian and Japanese print media in their respective languages. He realised himself opportunely positioned to observe cross-cultural issues between the two countries, and thus decided to conduct academic research. His contribution to New Voices is based on research for his MA degree, which was awarded from the University of South Australia. He is continuing to explore the Australia-Japan relationship as a doctoral candidate at Flinders University, supported by an Australian Postgraduate Award and with co-supervision from the University of Tokyo. Anne Lee is a PhD candidate at the University of Queensland researching intertextuality in shōjo and boys’ love manga. She received her BA in Japanese Language and Literature at the University of Massachusetts Amherst. Kelvin Lee is a PhD candidate at the University of Sydney, where he previously completed his Master in Applied Linguistics and Bachelor of Arts. His main research interests include language and identity, and Japanese popular culture, particularly anime. He is currently working on a thesis examining how language is used to construct characters in popular anime series. Rosa Lee graduated from the University of Sydney in 2009 with a combined degree in Arts/Law with First Class Honours in Japanese Studies. With research interests in the social function of popular historical heroes such as Shinsengumi and in the construction of ‘the Japanese’ identity, she is currently exploring Japan as a research student at the Department of Advanced Social and International Studies, University of Tokyo. Esther Lovely was awarded First Class Honours in Japanese at The University of Queensland in 2007, after completing an Arts degree, majoring in Japanese and Korean language. She is currently a Doctoral student with the School of Languages and Comparative Cultural Studies and is examining the acculturation experiences of transnational Korean families in Brisbane who have immigrated for the sake of their child’s English education in Australia. Alison Luke graduated from Macquarie University in 2013 with First Class Honours in Japanese Studies (Bachelor of Arts) after completing the Bachelor of International Studies in 2012. She is continuing to explore her interests in Japanese politics and social justice issues by exploring the experiences of female politicians in Japan as part of her PhD research at Macquarie University. A main focus of this research is to analyse the life course of successful female politicians in order to identify the influence of early childhood circumstances and individual characteristics on their ability to access politics and the creative ways that women overcome disadvantage. In addition to my studies I currently teach beginners Japanese, Japanese history and sociology. Caroline Mahoney graduated from the University of Technology, Sydney, in 2005 with a combined degree in Journalism and Japanese. In 2008 she was awarded First Class Honours in her Master of Teaching at the University of Sydney. She is currently studying Japanese language education at Waseda University, Tokyo, and working towards her PhD. Ben McInnes was a resident of Tokyo from 1983 to 2000. Since returning to Australia, he has been a student of Japanese at the University of New England, Armidale, where he is currently engaged in doctoral research into the first Japanese Antarctic expedition of 1910–12. Masafumi Monden attended the University of Western Sydney, where he received his Bachelor of Arts degree (Public Communication / History, Philosophy & Politics), and with distinction, his Master of Arts degree in Communication, Media & Culture in 2005. He is currently a second year PhD candidate at the University of Technology, Sydney where he is working on representations of youth in Japanese culture. Toshiyuki Nakamura has taught Japanese as a foreign language at a high school in China, and in universities in Korea and Australia. He holds a Master in Applied Linguistics for Language Teachers from Monash University, and is currently undertaking doctoral studies to explore Japanese learners’ motivation. Lisa Narroway recently graduated from the University of Sydney with a Bachelor of Arts (Languages), majoring in Japanese and History. During her studies, she spent a semester in Japan as an exchange student at Kwansei Gakuin University. She was the 2007 recipient of a Department of Japanese Studies Honours Scholarship. Miles Neale graduated with Class I Honours from The University of Queensland’s Bachelor of Arts program (majoring in Japanese) in July 2014. He is currently studying Linguistics as a postgraduate research student at Osaka University. He is a recipient of the Japanese Government’s Ministry of Education, Science and Technology (MEXT) Research Scholarship. Jack Nicholls graduated from the University of Melbourne in 2008 with First Class Honours in History. After dabbling in the outside world for six months, he has now returned to academia to undertake a Master of Environment. Chikako Nihei is undertaking a Masters degree by research in Japanese Studies at the University of Sydney. She holds a Master of English literature at the University of Wollongong and a Bachelor of Arts and Science from Tokyo Woman’s Christian University. Hiromi Nishioka is a lecturer at Busan Institute of Science and Technology. She has taught Japanese as a foreign language at universities and language schools in Japan, Korea, Taiwan and Australia. She holds an MA in Applied Japanese Linguistics from Monash University, awarded in 2008, and an MA in Applied Linguistics from Macquarie University, awarded in 2011. This paper is a part of a research project she conducted while studying at Monash University. 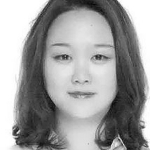 Currently, she is working towards her PhD degree at Pusan National University. Her current research interest is computer- mediated communication (CMC), especially digital storytelling and language learning with technology. 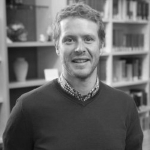 Sean O’Connell received an MA in Advanced Japanese Studies from Sheffield University and is currently doing a PhD in Intercultural Communication from the University of Queensland. His research interests lay primarily in communication accommodation, expatriate adjustment and intercultural workplace communication. Kirsten Orreill holds a Bachelor of Arts Degree with honours (double major Japanese/ Linguistics) from the University of Queensland. In 2006 she was on exchange at the University of Kitakyushu. Kirsten wishes to utilise these experiences of Japan and her knowledge of the Japanese culture, language, and history for future research. Fusako Ota holds a Master of Applied Japanese Linguistics from Monash University. She has previously taught Japanese as L2 at St. Paul’s Anglican Grammar School in Victoria and now teaches in the Japanese Program at Monash University. 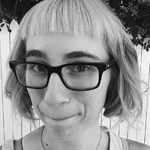 Rhiannon Paget holds an MA in Art History and Theory from the University of Sydney, and is currently Curatorial Assistant at the Clark Center for Japanese Art and Culture in Hanford, California. She has contributed research and text to several exhibition catalogues in Australia and the USA, and has published research on the representation of children in ukiyoe. Her current project is an exhibition on Japanese ink painting, Luminosity in Monochrome: Japanese Ink Painting and Calligraphy, which opened 5 September, 2010, at the Clark Center. Mayumi Parry has taught Japanese as a foreign language at tertiary level in Australia since 1993. She originally came to Australia as an exchange student. Her research interests are the effects of interactive multimedia applications on teaching language and culture, peer assessment and the effects of participating in exchange programmes. Sarah Pasfield-Neofitou was recently awarded First Class Honours in combined Japanese and Linguistics at Monash University, Melbourne. Currently, Sarah is a PhD candidate researching second language acquisition and use in Computer Mediated Communication at Monash, where she also works part-time in the school of Languages, Cultures and Linguistics, teaching Japanese language and linguistics. Sarah is the current Postgraduate Liaison for the Japanese Studies Association of Australia. Crystal Porter graduated from Australian National University in 2007; she has a Bachelor of Asian Studies (Honours) and a Bachelor of Science. She wrote her Honours thesis after becoming interested in the Ainu and their semi-parallel situation with other indigenous groups around the world. She currently lives in Japan, teaching English. Mina Qiao is a Master of Arts graduate in Japanese literature from the School of Cultures, Languages and Linguistics at the University of Auckland. She is currently enrolled in the PhD program in Literature at Ludwig Maximilians University, Munich. She works on urban theories and contemporary Japanese women’s writing. Kirsti Rawstron is a doctoral candidate at the University of Wollongong. Her current research addresses the effectiveness of United Nations Human Rights Conventions in improving women’s rights in Australia, New Zealand, South Korea, and Japan. She holds a Bachelor of Arts (Honours, First Class) in Japanese Language and Culture and a Bachelor of Commerce in Finance from the University of Otago. She spent a year at the University of Tokyo as part of the AIKOM exchange program. Kirsti’s first publication is in AIKOM Forum Vol. 14 (2010) and she recently presented at the 2010 Women in Asia conference. 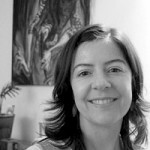 Dr Cristina Rocha is an Australian Research Council Post-Doctoral Fellow at the Centre for Cultural Research, University of Western Sydney. She is the managing editor for the Journal of Global Buddhism (www.globalbuddhism.org). Her writings include Zen in Brazil: The Quest for Cosmopolitan Modernity (Honolulu: University of Hawaii Press, 2006). Madeleine Sbeghen graduated with First Class Honours in Japanese in 2015 after completing a Bachelor of Science (Zoology) and a Diploma in Languages (Japanese) at the University of Queensland. Building on a short undergraduate project investigating wildlife conservation in Japan, she combined her study interests to embark on an interdisciplinary Honours project on the biocultural context of threatened bird species conservation in Japan. Madeleine is currently undertaking a Master of the Environment at the University of Melbourne, and was selected for the New Voices Scholar program in 2017. Erika K. Smith is a first year PhD (2008) student at the Centre for Cultural Research at the University of Western Sydney. Her PhD is focused on researching the Kokoda Track post World War II. April Sprague graduated Honours First Class in Japanese Studies from the University of Sydney in 2010 having completed a thesis on the topic of male sexuality and female power in Heian literature. She is currently employed by the Japanese Ministry of Foreign Affairs at the Embassy of Japan in Canberra. Hideo Tsutsumi holds a BA in English from Ibaraki Christian University. He was awarded an MA in Applied Linguistics from The University of New South Wales in 2010. Ross Tunney graduated from the University of Tasmania in 2012 with a Bachelor of Arts (Hons) specialising in Asian Studies. In his final year, he wrote a dissertation that explored issues of identity and representation in Japanese photographer Tōmatsu Shōmei’s photographs of American servicemen and Okinawans in Japan. He is currently enrolled in his third year of a PhD at University of Tasmania. Ross’ research remains focused on issues surrounding representation, modernity, nostalgia and landscape in post-war Japanese documentary-style photography. His PhD thesis will take a broad view of this period, paying specific attention to the discursive patterns found within much of this work. Ross’ background in photography stems from a personal interest in the area, both as an amateur practitioner and admirer of the genre. Ross Tunney was selected for the New Voices Scholar Program in 2016. Emily Wakeling recently completed a Master of Philosophy in Art History at the University of Queensland after earning her undergraduate degree, a Bachelor of Creative Industries, from Queensland University of Technology. Emily is continuing her research interest in contemporary Japanese art in Tokyo through the Monbukagakusho Research Scholarship. She regularly writes about exhibitions in Tokyo, focusing on photography, women artists, Asian art and new media. Shannon Whiley graduated from The University of Queensland (UQ) in 2015 with an Arts Degree in Japanese and Asian Studies, and was awarded Honours in Japanese. She is currently working in Japan as a Coordinator for International Relations with the JET Programme and hopes to utilise her experience for further research in the future. Daniel J. Wyatt is a PhD candidate at Kyushu University, Japan. Daniel holds a Bachelor of Arts in Japanese from James Cook University, Cairns, and a Master of Interpreting and Translation Studies from Monash University, Melbourne. Daniel’s research addresses the development of Meiji-period translation practices, highlighting the role of traditional culture in the production and transition of knowledge in Meiji Japan. Rie Yamasaki holds a Bachelor of Arts, majoring in Asian Studies and also Journalism, Media and Communications from the University of Tasmania. She completed a Master’s degree in Asian Studies at the same institution in 2010. Hitomi Yoshida completed her undergraduate degree in Chinese and Japanese Studies at the University of Tasmania and went on to complete a Masters in this field, being awarded the MA in August 2010. Her studies have been undertaken part-time as she is also tutoring students in the School of Asian Languages and Studies. 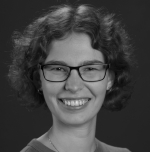 Her research interests include the way that popular culture in East Asia is shaped by global-local dynamics and how the idealisation of modernity comes up against the traditions and social morals of regional-local cultures. Maki Yoshida holds a Master of Applied Japanese Linguistics from Monash University. She has previously participated in the LOTE Teacher Assistant Program administrated by the Department of Education and Early Childhood Development in Victoria and now teaches in the Japanese Program at Monash University.